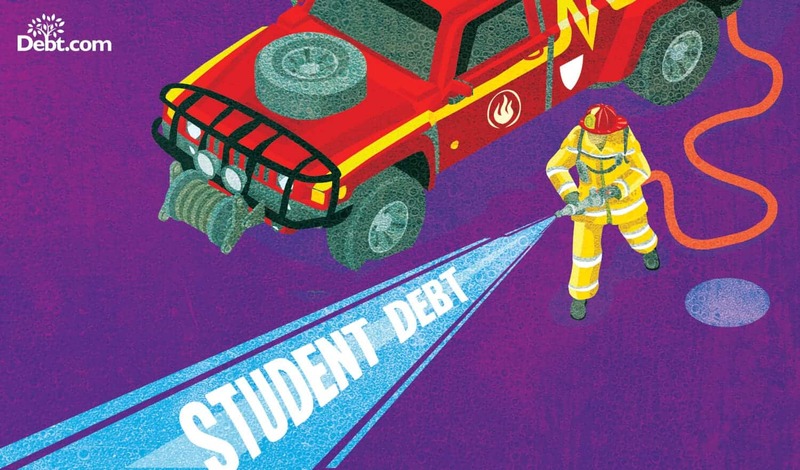 PSLF provides student debt relief to firefighters struggling to repay federal student loans. In most cases, city fire departments do not require education beyond a high school diploma or GED. However, if you want to advance or have a goal to become chief, you may need a higher education . But there’s a catch. The debt you incur for a degree can easily outstrip the income you receive as a firefighter. Even with the income boost of a higher education, you can struggle to pay off your debt. Student loan payments can keep you living paycheck to paycheck. Meanwhile. the debt prevents you from accomplishing other life goals, like homeownership. Fact: The 2017 salary range for firefighters ranges from $33,528 to $55,879, according to Salary.com. The Department of Education designed federal student loans so its easy to qualify. Qualification is not based on your credit; it’s based need. But that means your debt-to-income ratio does not factor in during loan approval. So, unlike a regular loan, you can get a federal student loan even if you don’t (and won’t) have the income to pay it back. Given the current cost of tuition and attending school, you simply may not make enough money to repay your loans. That’s especially true for anyone who works in the public service sector, like a firefighter. Cities and municipalities usually employ firefighters, so the income can be modest. You don’t do what you do for a huge paycheck. Still, that’s a problem if you took out student loans to advance your career as a firefighter. Luckily, Public Service Loan Forgiveness (PSLF) offers a solution to help you get out from under your student loan debt burden. True or false: The majority of fire departments require EMT training if you want to be a paid employee of the department. Tip: Roughly 70% of fire departments require EMT training. Qualification for PSLF is not immediate. You have to take a number of steps first. If you start now and follow the steps below, you would be eligible for loan forgiveness in 10 years. First you must enroll in a hardship based federal repayment plan. It’s also recommend that you complete the Employment Certification Form and submit to certify your employment eligibility for PSLF. You then make 120 qualified payments to your repayment plan; you can change plans as long as you maintain enrollment in the three programs above. During that time, you should re-certify your employment annually or anytime you change jobs. This ensures you continue to work for a department that qualifies you for PSLF. After 120 payments (10 years) you apply for PSLF. Once approved, the federal government forgives the remaining balances on all federal student loans included in your repayment plan. As you can see from the instructions above, qualifying for loan forgiveness all depends on maintaining eligibility. You must meet the qualification for forgiveness throughout the ten years of repayment. This can be challenging. You must make ALL qualified payments during the 10-year term. It’s important to note if you enroll in PayE and your income is especially low, some payments may be waived. This counts as making a qualified payment. Employment certification is not a requirement to qualify for forgiveness through PSLF. However, the Department of Education through StudentAid.gov recommends getting certified early and maintaining it. It’s the only way to affirm you can earn forgiveness in 10 years. People often think Public Service Loan Forgiveness is Obama Student Loan Forgiveness. In fact, the Department of Education created and implemented PSLF under George W. Bush. The program started back in 2007. Interestingly enough, that means the first loans the first participants in PSLF only became eligible for forgiveness in October 2017. That’s when the first borrowers potentially completed their 120 qualified payments on a hardship-based repayment plan. If you’ve been a firefighter since 2007 or 2008 and have been working to meet all your eligibility requirements, then you’re probably hoping to see your remaining balances forgiven soon. But unfortunately, there’s no guarantee that everyone who thinks they qualify for PSLF will be successful. According to a recent report from the Department of Education, 99% of all applications received since October 2017 have been rejected. of the 29,000 applications processed, only 292 were approved. The others were rejected due to incomplete paperwork or often a failure to meet qualification requirements. So basically, many borrowers are getting to the end of their 10-year repayment period only to fail at securing forgiveness on the remaining balances. Why are so many applications rejected? The Department of Education says one-third of the applications were incomplete; so basically the paperwork wasn’t filed completely or properly. But the other two-thirds were rejected because the borrower didn’t meet all the requirements for qualification. Some borrowers didn’t have the right types of loans. Others weren’t enrolled in the right repayment plan. And still others have found that their employment didn’t qualify for them for forgiveness. The last reason is the most contentious. During the Obama administration, the DOE expanded the PSLF program to cover more people in more types of jobs. But the current administration has scaled back. 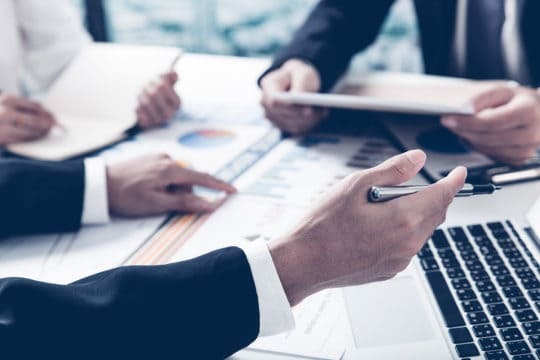 Even people that took the step of maintaining ongoing Employment Certification have found that a position that was certified no longer qualifies. Make sure you are enrolled in one of four hardship-based repayment plans. Only the IBR, ICR, PayE and RePayE will allow you to qualify for forgiveness. If you haven’t consolidated your loans with a Federal Direct Consolidation Loan, you should do so now. This will ensure that all your debts qualify for forgiveness. Recertify your employment, even if you haven’t changed jobs since the last time you certified. This will ensure your employment still qualifies under the new DOE rules. Finally, consider talking to a student debt resolution specialist. Don’t rely on your loan servicer to give you the information you need. They’re notoriously bad at providing information necessary to borrowers. Instead, you need an independent third party that can act as your advocate. They have your best interest at heart, so they’ll make sure you meet the qualification standards necessary to qualify for forgiveness.